Last night Casey and I attending the Grand Forks performance of Cirque du Soleil’s Delirium, their traveling concert featuring remixed music from other Cirque shows. This was the first time we’ve seen one of their performances, and it was, in a word, amazing. The set for Delirium is huge, and plays an integral part in the show. Screens almost the entire height of the arena are on each side of the stage, and continuously display either live video or really weird imagery. 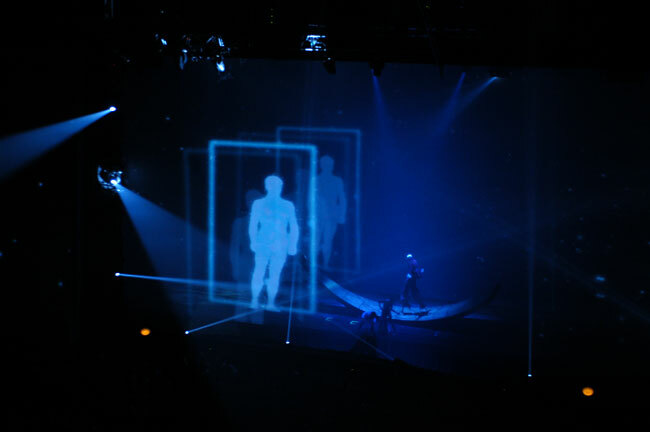 At times, sheer material would enclose the main stage and overlay video on top of the performers. The effect is amazing, and gives a very real 3D effect. For example, during one song a man dressed in tribal clothing had flames projected on him, giving the very convincing impression that he was really on fire. There was so much going on all the time (much of it weird), that it often left our senses overwhelmed and overloaded. I could see how some people wouldn’t like the oddness of it all, but we both thought it was a very unique experience that you don’t often find in Grand Forks. For a little more on the topic, see Grand Forks Life’s opinion of the awful front page review of Delirium in today’s Grand Forks Herald. I completley agree with him that the front page is no place for an opinion piece on a concert, beside the fact that Casey and I both think the reviewer is totally off base. So, we both give a big thumbs up to Delirium and recommend it to almost everyone (small kids probably won’t appreciate it very much). 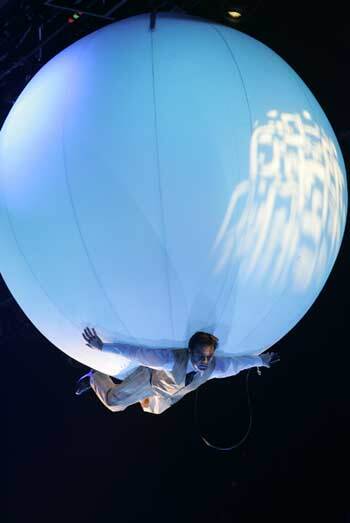 We’re looking forward to the next chance to see a Cirque show!